Lunia is an isometric Massive Multiplayer online role-playing game. 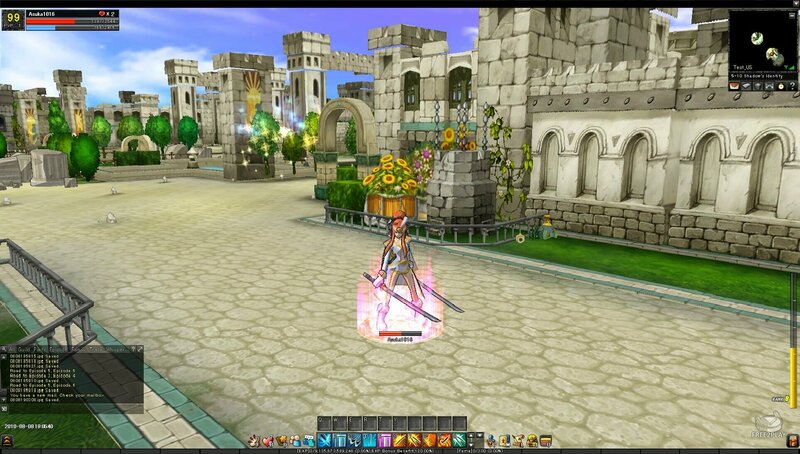 The game aims to offer a new style of game play differing from the common MMORPGs by mixing elements of action games and RPGs. 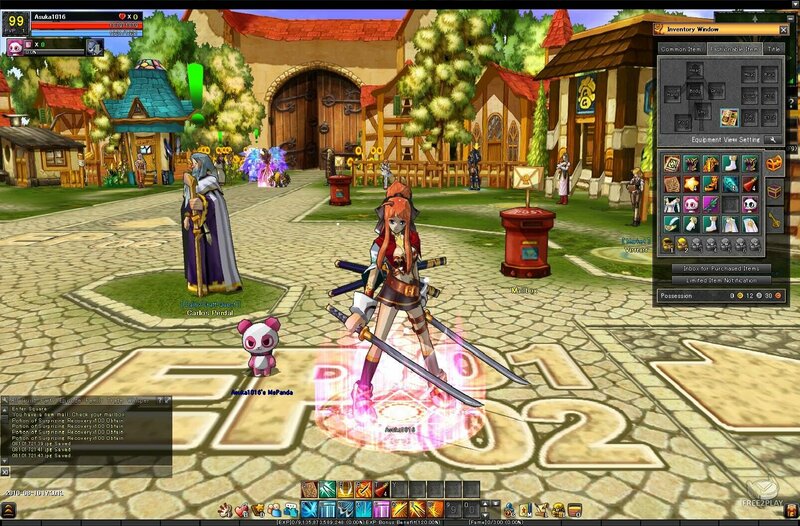 Lunia, in contrast to many MMORPGs currently on the market, is played much like an action arcade game. The player is free to move around in-game using the arrow keys or even a game-pad rather than a mouse cursor . Instead of clicking over an enemy to attack, varying attacks are launched by pressing combinations of two attack buttons and the space bar. The two attack keys act as a normal attack and a class-specific attack. The space bar is used as the down attack/finisher against opponents who are knocked on the ground. Attacks can be chained together into combos, which are based on the timing, combination, and order of the attack buttons pressed. Dainn is the generic ‘wizard’ class in Lunia. He has superior offensive capabilities from a distance and can chain long combos. His weakness is that he is extremely vulnerable to melee attacks, so he has low defense and hit points. 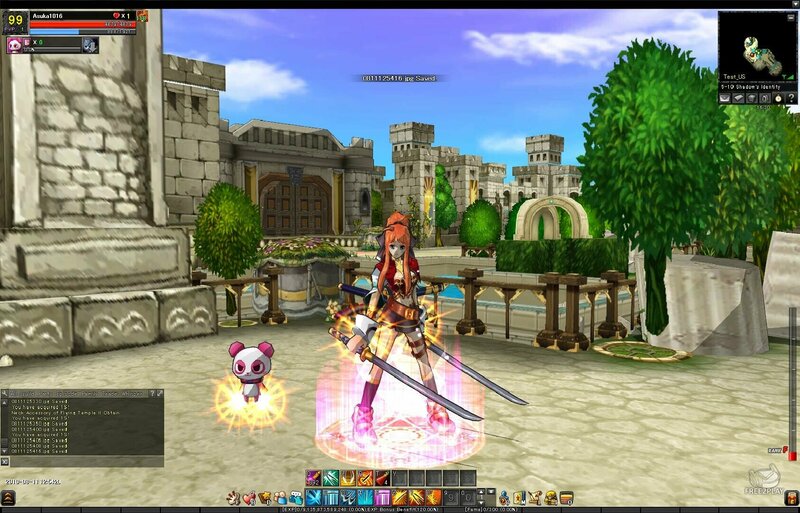 Sieg is the generic melee character in Lunia. He has long combo attacks, high hit points and powerful melee attacks. He has however some of the lowest MP in the game and lacks long ranged attacks. Tia is a capable of dealing enormous amounts of damage extremely quickly but lacks the defensive capabilities of the Knight, able to land critical attacks and has faster melee speed than the other characters. Eir is the ‘priest’ archetype in Lunia. She has superior healing and supportive skills but has weak melee damage. Dacy plays a lot like Dainn, the wizard, but with a slight twist. Instead of casting offensive spells, she can summon dummies to aid her in combat. She has low melee damage and incredibly low hitpoints. Arien is the newest character to be added to the game. She is capable of dealing large amounts of damage from a distance using her ranged attacks. She is proficient with all bow type weapons. Yuki is another spell caster like Dainn and Dacy. She is capable of dealing large amounts of damage from a distance with powerful area of effect and homing skills delivered through long chainable combos but has low hit points and a weak melee attack. Like Arien, Krieg is a new character class. He is a hybrid between a warrior and a healer and has powerful melee attacks as well as supportive holy spells. Lime is capable of dealing incredible amounts of damage on the battlefield. He has superior speed and damage capabilities, but has extremely poor combo capabilities. 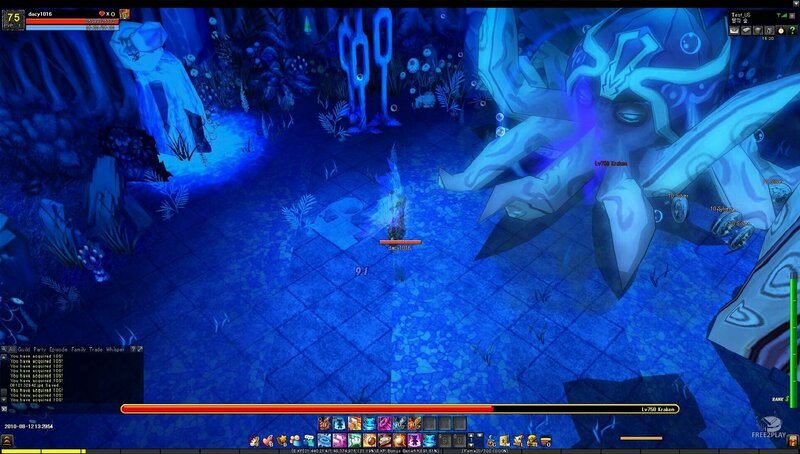 Lunia offers several player versus player (PvP) arenas that allow from 1 vs 1 to 8 vs 8 combat. Additionally, it offers 2 different types of channels, balance and free. Allm has stated plans to eventually support 16 on 16 matches. Some PvP arenas offer seasonally like the unique Snowman Fight which allows players to don Snowman suits and fight each other with whimsical snowballs of various sizes and special effects.